The HeartStart MRx Monitor/Defibrillator was the subject of a Class I recall in March 2017, due to electrical and battery connection issues that may prevent the device from functioning as intended. Patients who experienced adverse events allegedly related to these issues may be eligible to file a HeartStart MRx Monitor/Defibrillator lawsuit to obtain compensation for their pain and suffering. 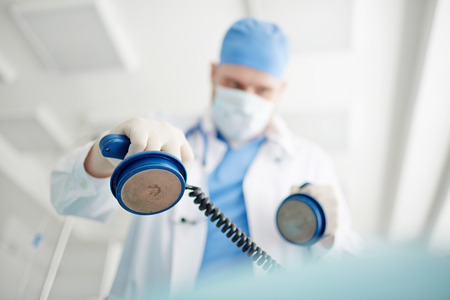 If you or a loved one suffered a serious injury that could be related to this recall, please contact the nationwide law firm of Bernstein Liebhard LLP at (888) 994-5118 to learn if you qualify to file a HeartStart MRx Monitor/Defibrillator lawsuit. HeartStart MRx Monitor/Defibrillator Recall: What’s the Problem? The HeartStart MRx Monitor/Defibrillator is manufactured by Philips Healthcare, and is used by first responders and other emergency personnel trained in CPR. The device is designed to deliver life-saving shocks to patients in cardiac arrest, and to pace the heart in patients experiencing a slow heartbeat. On February 24, 2017, Philips Healthcare announced a recall for the HeartStart MRx Monitor/Defibrillator to correct certain electrical and battery connection issues that could prevent the device from delivering needed therapy.. The U.S. Food & Drug Administration (FDA) would later designate the action a Class I recall, which indicates that a device poses a risk of serious injury or death. The HeartStart MRx Monitor/Defibrillator involved 47,362 units nationwide. The recalled devices were manufactured from February 11, 2004 to November 4, 2016, and were distributed from February 12, 2004 to November 4, 2016. Health care professionals and consumers with questions related to this recall can contact Phillips Healthcare at 1-800-722-9377. Adverse events that may be associated with the failure of a HeartStart MRx Monitor/Defibrillator can be reported to the MedWatch: The FDA Safety Information and Adverse Event Reporting Program. While no amount of money can truly make up for the suffering of injured victims, damages from a HeartStart MRx Monitor/Defibrillator lawsuit could provide the financial resources patients and their families need to recover physically, emotionally and financially from their injuries. To obtain a free, no obligation review of your potential claim, please call (888) 994-5118 to contact our attorneys today.